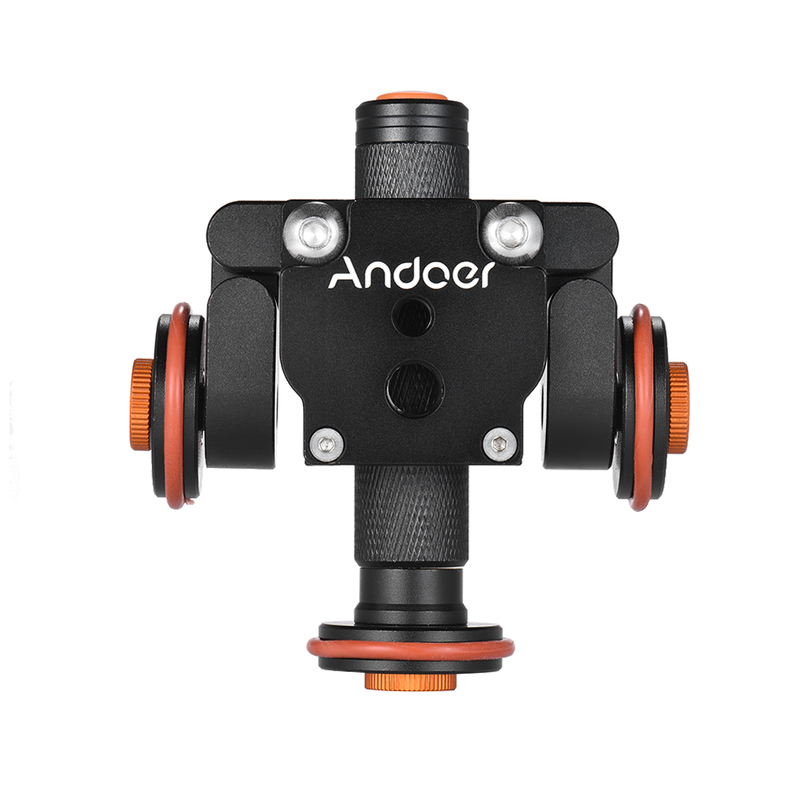 Andoer mini auto video dolly is a good helper for stable macro & low angle video shooting and short-time time lapse. 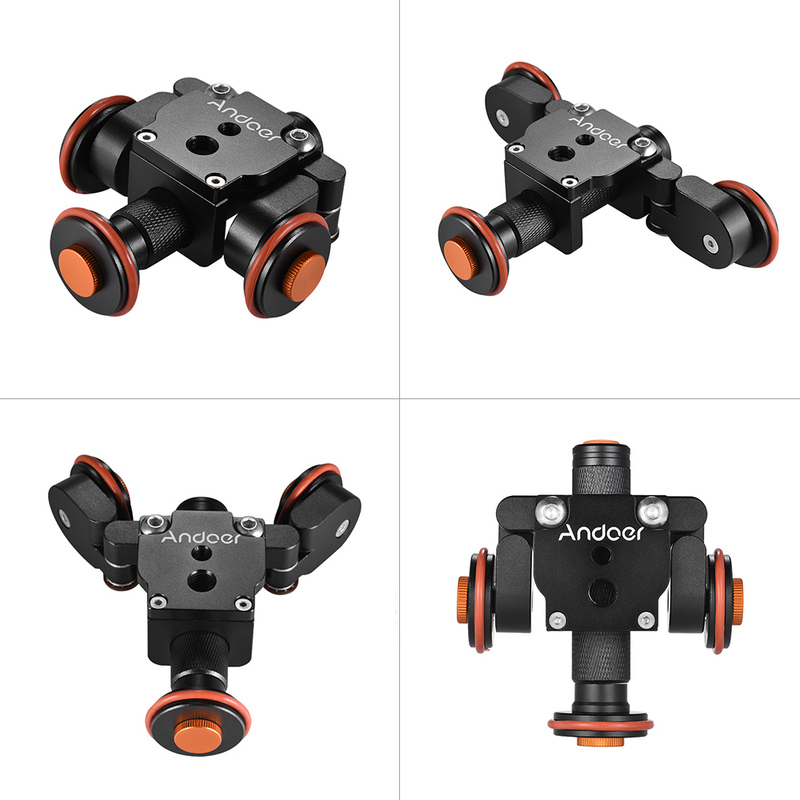 You can realize straight line and creative camera moving by changing dolly wheel angle. The process is smooth and stable. Motorized dolly help to create stable video, great for macro & low angle video shooting and short-time time lapse. Change the wheel angle to realize straight line / creative curve movement. Move in constant speed, max. 2.5cm/s, fewer battery power, slower speed. Powered by 800mAh CR2 lithium battery, can work for 1h for camera weighting 6kg, 9h for mobile phone. Reverse the battery, then the dolly can move to the opposite direction. 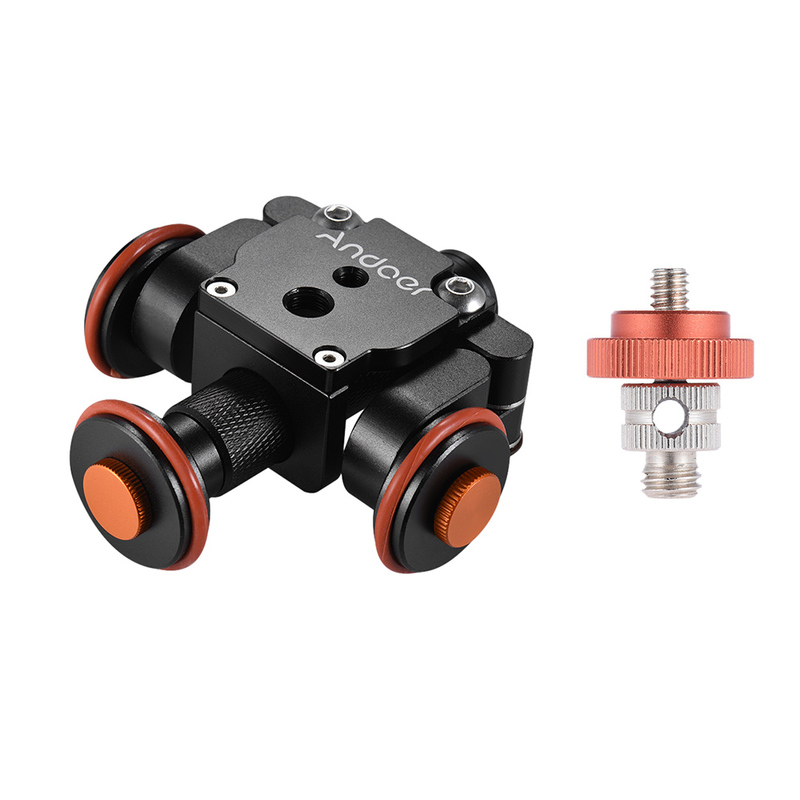 Made of high quality aluminum alloy, support up to 6kg/13.2Lbs. Pocket size, portable for you to carry and store. Operation Time: 1h for camera weighting 6kg, 9h for mobile phone. Please balance camera weight before starting.